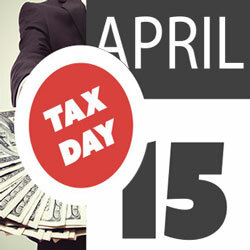 In America, one of the most dreaded days on the calendar is coming up: Tax Day, April 15th. To ease the pain of handing hard earned money over to the government, Intertops Poker and Juicy Stakes Casino are holding a special Tax Day Poker Tournament and guaranteeing a $1500 prize pool. $3 satellites start Monday. US Income Tax was first imposed in 1861 to pay the costs of the Civil War. Changes have been made throughout the years, but Income Tax still remains – and Americans still dread April 15th, the final deadline for paying taxes. The most active poker rooms on the Horizon Poker Network, Intertops Poker and Juicy Stakes Casino have busy daily tournament schedules. For a break from poker, there’s also a wide selection of slots and other casino games like Blackjack and Roulette.